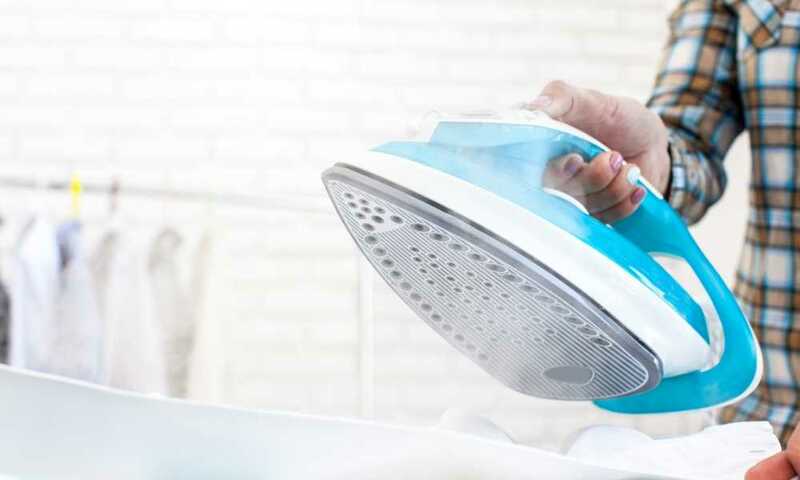 » How To Steam Iron Curtains Safely and Effectively? How To Steam Iron Curtains Safely and Effectively? Curtains or drapes are products that are manufactured using different types of fabric materials. They come in different palettes, sizes, and designs. They usually hung on the inside of a residential and commercial building’s window. Generally speaking, they are used in order to help block the entry of outdoor light or sunlight, as well as prevent the exit of indoor light. Apart from such, window curtains are also used to control the amount of light that enters and exits a building. In addition, window curtains are also used to enhance the beauty of a property’s interior. In fact, some people even hire interior designers in order to ensure that their curtains match their property’s style. Likewise, window curtains also sometimes become the focal point of a property. With such in regard, the appearance of window curtains that have wrinkles and creases may make a property look ugly and untidy. Most of the time, crumpled or wrinkled curtains are brought to a dry cleaning facility. Nowadays, there are already home appliances, called steam generating irons and garment steamers, that can help individuals remove wrinkles from their curtains.) However, in order to have a wrinkle-, water-spot-, and scorch-free window curtains, people should know how to steam iron curtains in a proper manner. Straightening wrinkles, folds, lines, and other irregularities on window curtains is quite a tedious and time-consuming job. That is because of the fact that most of them are made with very thin and delicate materials. Likewise, they are usually long and wide. But for the sole question, “How to steam iron curtains safely and effectively? the answer depends on the type of steam iron that will be used. As an overview, a steam generating iron looks just like a traditional iron but has a water tank or compartment. Thus, instead of dry heat, moist heat is being used. The steam produced when the water boils is released with the help of pressure. The pressurized steam produced is helpful in speeding up the ironing process. Before ironing old and new curtains with steam generating irons, make sure that they are clean. Likewise, make sure that you have a flat surface or ironing board that has the same length as the curtain. Fill the steam iron with the right amount or level of distilled water. Plug the steam generating iron. Adjust the temperature of the iron, based on the material of the curtain, by turning the dial or button. Preheat the iron by letting it stand for about two or three minutes. When the iron plate is already hot, press the steam button, which is located on top of the iron. If a good amount of steam is produced, the iron is already ready to be used. Lay the curtain on the ironing board with the back part facing up. At the top part of the curtain, place the iron on top of it with a little distance and press the steam button. Slightly press the steam iron on the area and glide slowly. Raise the iron once in a while to repeat steps nine and 10. With the above-mentioned procedure on how to steam iron curtains using steam-generating irons, the curtains may or may not be damp at the end. That will depend on the thickness of the material. If the curtains are damp, hang them for a while and let them dry. The good thing about steam generating irons is that people can do another curtain ironing technique. With the method that will be discussed below, steam is still used. However, both thick and thin curtains will not be damp at the end of the procedure. Prepare the steam generating iron by following above-mentioned steps from one to eight. Press a clean, white cotton shirt on top of the curtain. Place the steam iron in front of the shirt and press the steam button. Lightly press the iron on top of the shirt and leave it for 30 seconds. Slowly glide the iron down the shirt. Repeat steps two to five on the next areas of the curtain. Individuals who want to straighten window curtain creases, wrinkles and folds in a quicker manner have the option to use garment steamers. They are handheld products that do not require the user to press on the curtain. Thus, the curtains can be straightened while they are still hanging. Using the steamer can also prevent the occurrence of scorching and burning. Prepare the garment steamer as similar to the steam-generating iron from steps one to seven. Hang the curtain on a rod or step on a stool to reach the top portion of the curtain. Press the steam button that is usually located on the handle. Without pressing the curtain, slowly glide the steamer down until the end of the curtain’s length. Allow the curtain to air dry for about 10 or 15 minutes. No cleaning and dusting should be done while the steamed curtain is being allowed to dry. No matter what procedure or method on how to steam iron curtains you choose, window curtains of all materials can be safely and effectively straightened. However, you should remember that you should not expose your curtains to too much steam and heat. That is because it can shrink your curtains. Acceptable time will be a maximum of 10 seconds for sharps wrinkles. But, when covered with a shirt, a 30-second exposure is acceptable.